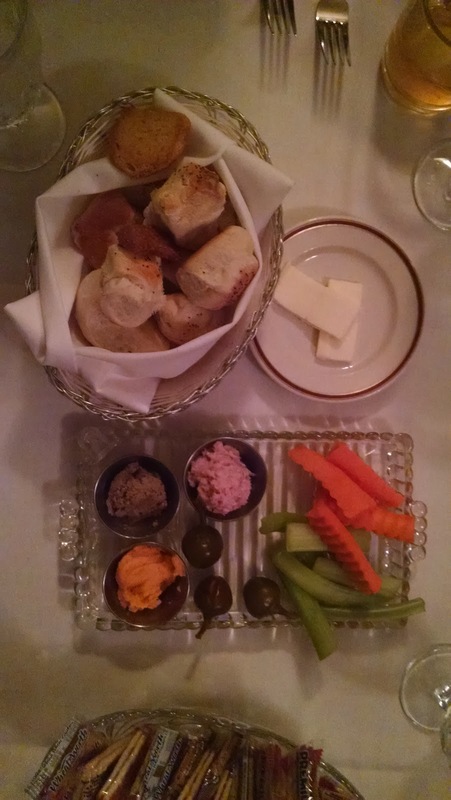 Having just seen the Old Fashioned, The Story of the Wisconsin Supper Club at the historic De Pere Cinema in downtown De Pere, we were inspired to visit the Union Hotel right around the corner for their Friday dinner. The Union Hotel is family run hotel and fine dining establishment going back 98 years in business. It is on the National Register of Historic Places and the family has done a superb job of preserving that history. 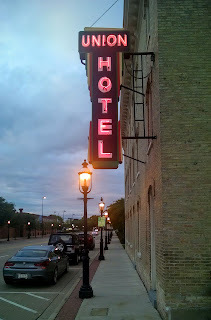 Walking is is like taking a step back in time to the days of fine hotels and fine dining. The experience starts as you walk into the lobby, a smaller carpeted room with a small reception desk, period decor, and historic photos on the wall. Through a glass door is the bar area that has seating for guests as they wait for a table, and an ornate bar with attentive bartenders. 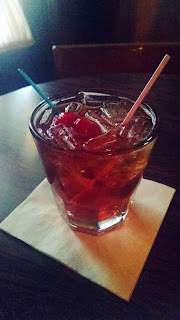 The brandy old fashioned, while not muddled, is made classicly using a simple syrup, some bitters, brandy, ice, and soda, and is one of the better brandy old fahioneds I've had anywhere. There were 8 in our party and there was about a 20 minute wait. The waitress took our order in the bar area and invited us to our table soon after. We were led into one of several dining rooms that is decorated exquisitely and the table was set with attention paid to every last details for a fine dining experience. Laid out was a relish tray with cheese, crab, and liver pate spreads and a bread and cracker basket. Some of us had the soup, and the clam chowder was phenomenal, rich and creamy and definitely homemade. 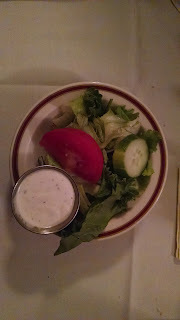 Salad was served before our entree, and the lettuce was crisp and everything fresh, very delicious indeed. Our entree was served, and in typical fine dining fashion, everything was brought out at once so everyone was served at the same time. My plate was carefully laid out with crisp, golden pieces of fish stacked atop the other. The fish was cooked perfectly and had an excellent crunch and tasted delicious. I had the hash browns for my side, they were hand cut and cooked just right for a great flavor and texture. 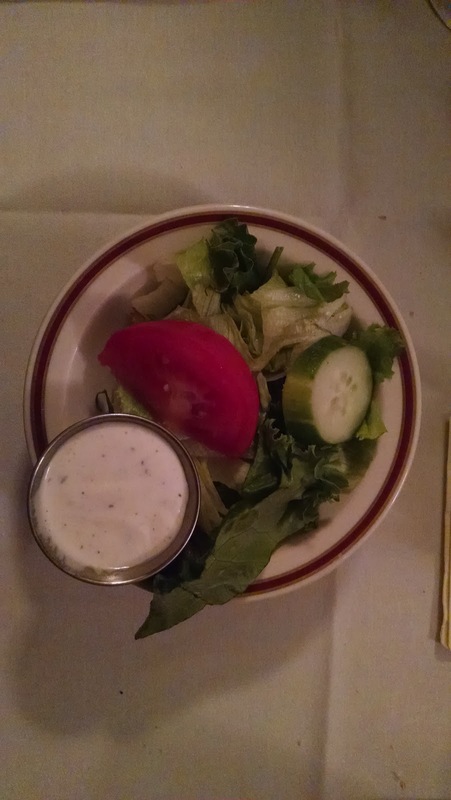 The tartar sauce was homemade and had the perfect blend of flavors and accompanied the fish nicely. 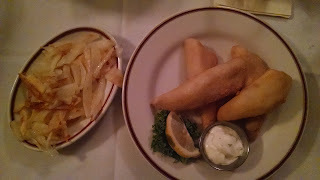 Union Hotel is not a Classic Wisconsin Fish Fry, but they don't try to be. What they are is a fine dining establishment with the utmost attention to detail of decor and place settings to using the freshest ingredients and cooking techniques to put on a fabulous meal. You won't find much better than this in North East Wisconsin.